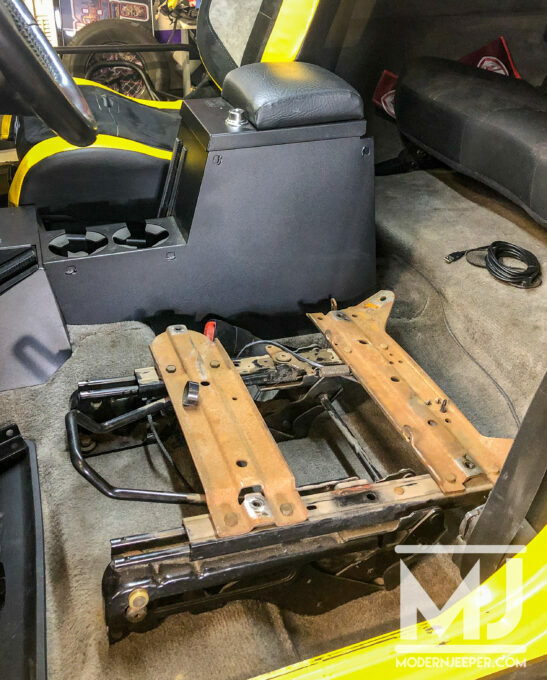 Since starting in the founder’s garage over 17 years ago, PRP Seats has always been made in America. 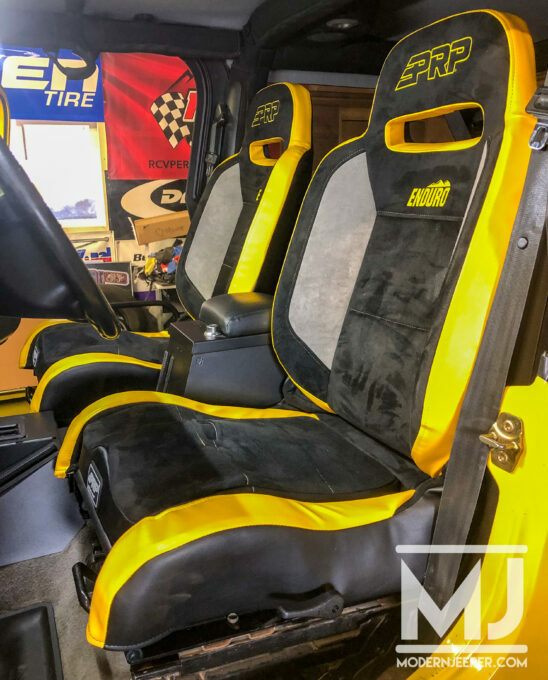 Their staff of over 40 individuals works up to 6 days a week producing custom suspension seating and accessories. 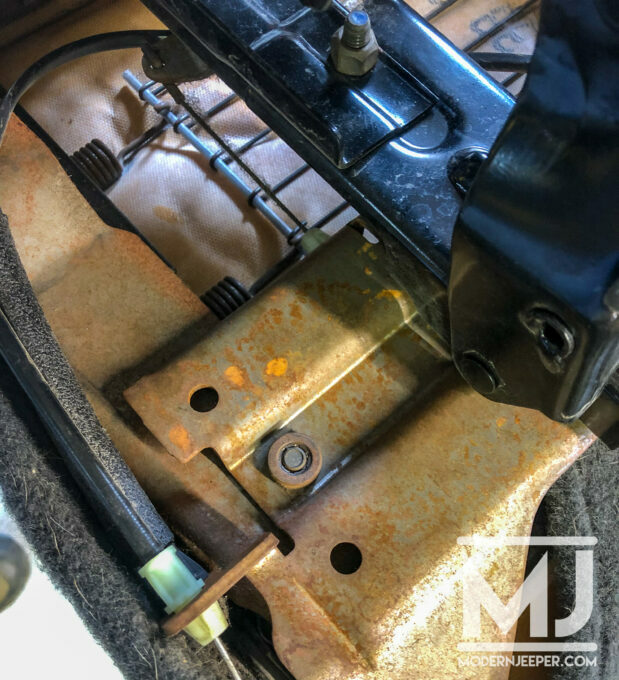 Aaron Wedeking founded the company with the goal of making a better suspension seat. His first customers consisted of Off-Road Warehouse and Meyers Manx. 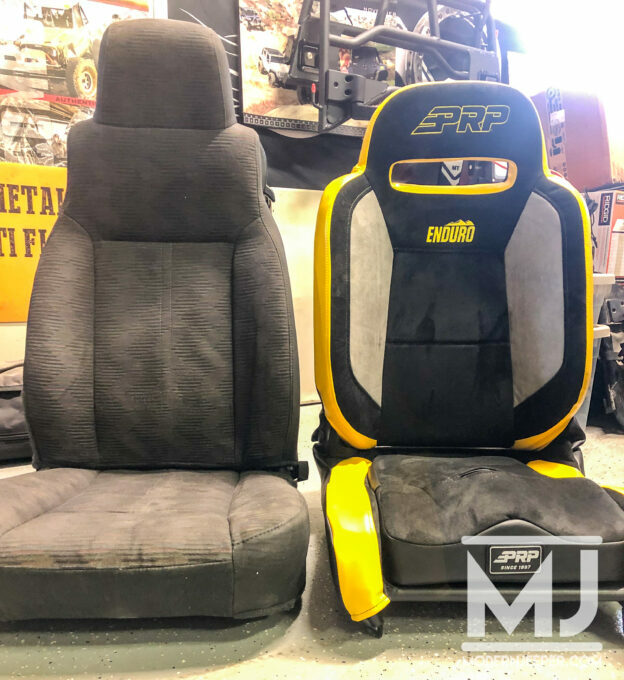 PRP Seats quickly grew in size and reputation in off-road circles, becoming one of the top seating companies, and quickly challenging the likes of Beard and MasterCraft. 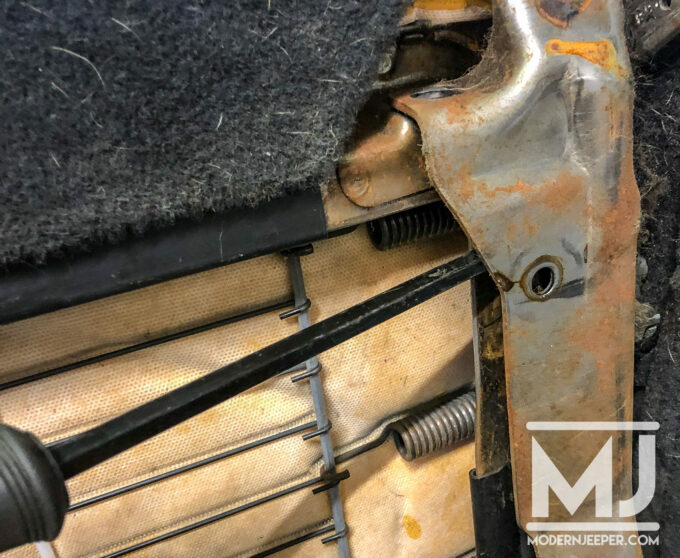 When it came time to replace the seats in my recently “re-built” 2004 LJ, Golden Spike, I knew exactly what seats I wanted to sit in. 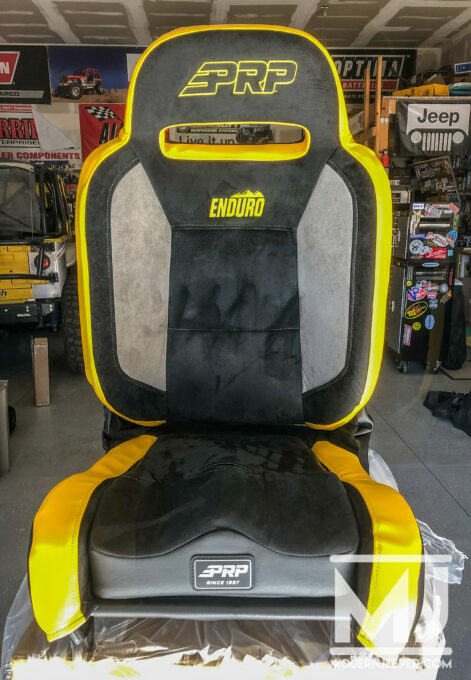 The Enduro Elite recliner was an easy choice. 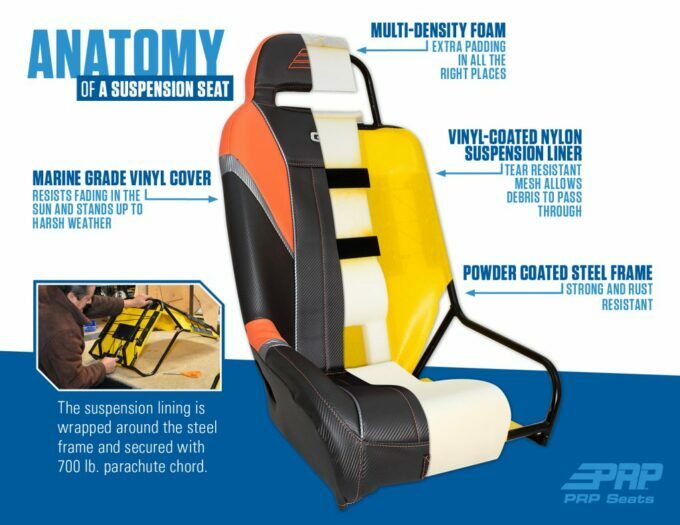 The Enduro Elite is PRP’s newest Reclining Suspension Seat, that features Elite Series styling. 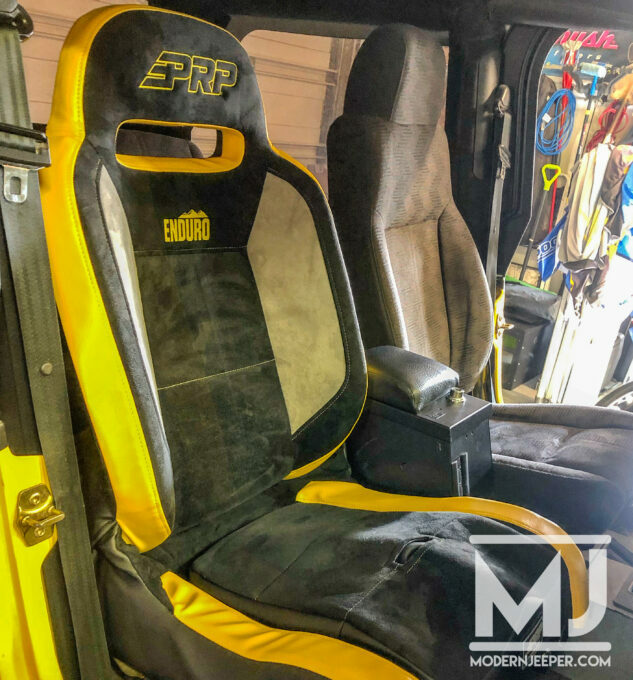 Made to replace your stock Jeep or truck seats the Enduro supplies additional comfort for taking your daily driver off-roading. They include a removable, injection molded seat cushion for better leg support and longer comfort. The Enduro Elite reclines completely and inclines enough to allow access to the rear seats. 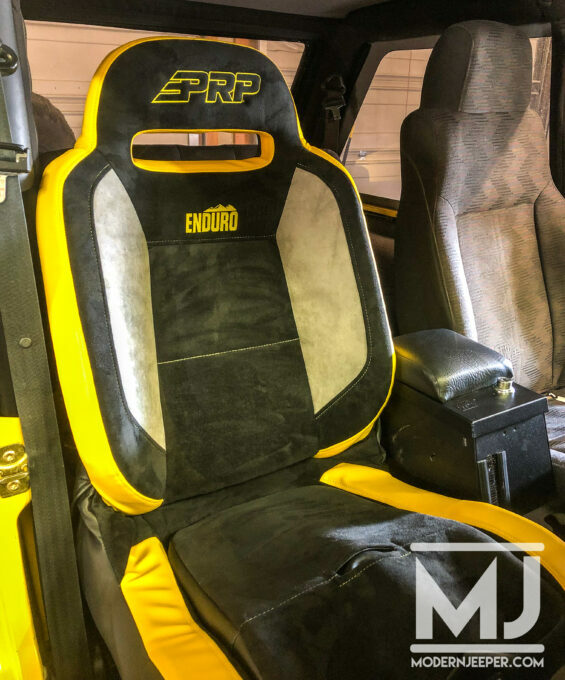 PRP can custom build you a seat with a plethora of options and colors to fit YOU and your Jeep! But first, we have to take out the stock seats. 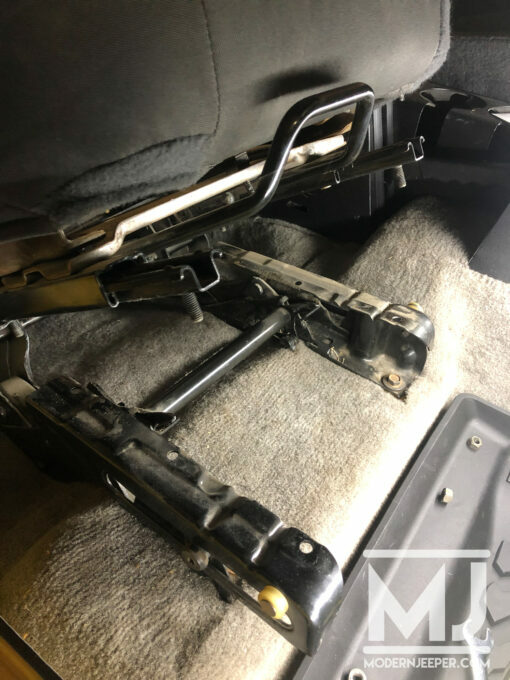 PRP Seats will reuse the slider brackets from your stock seats…but separating them from the stock seats can be a chore. Take your time. Hopefully these images and tips will help you get the job done! Removing these easy to get to nuts did allow me to tilt the seat up to where I could see better…but notice that the slider portion is still attached to the seat. My recommendation is to NOT remove the slider assemblies from the bases. Keep reading to see that there is a better way. 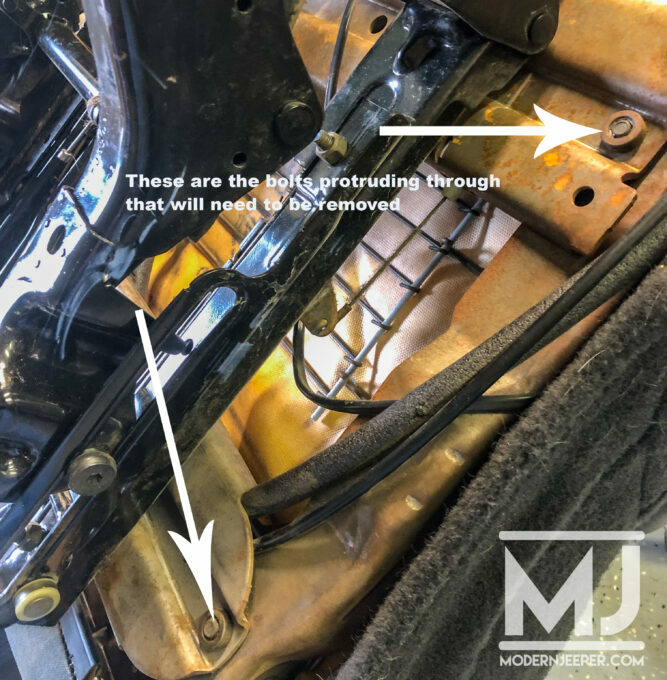 The PRP brackets mount to the top portions of the slider assembly as shown above and below. Your goal is to make the slider assemblies look like this. 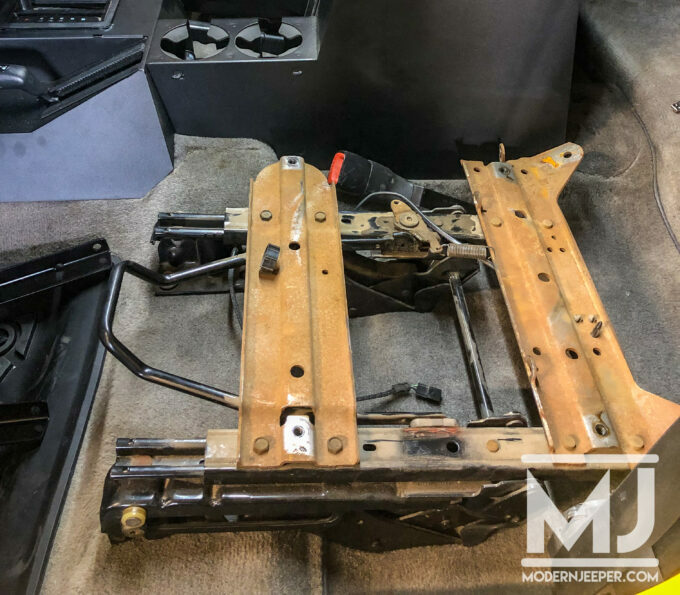 I skipped a lot from the passenger side disassembly…for good reason. The driver side will provide a better look at another method. 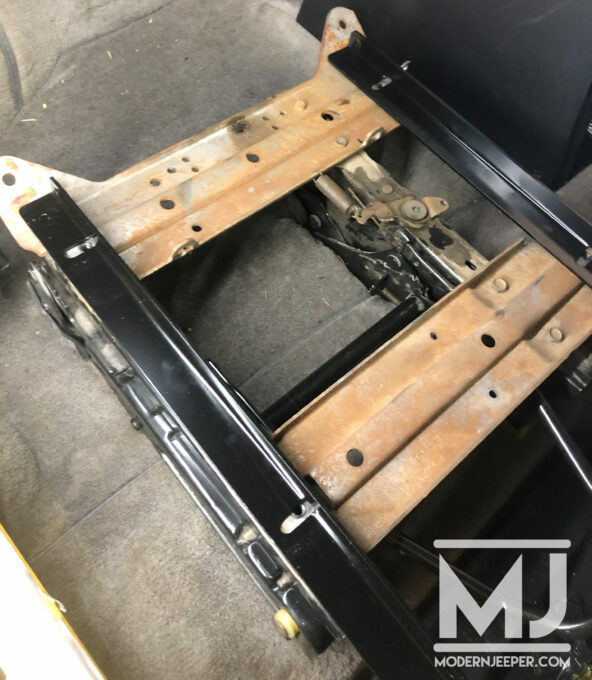 But after about 2 hours or so, I did get the passenger side in and bolted up. So, here is the better way! 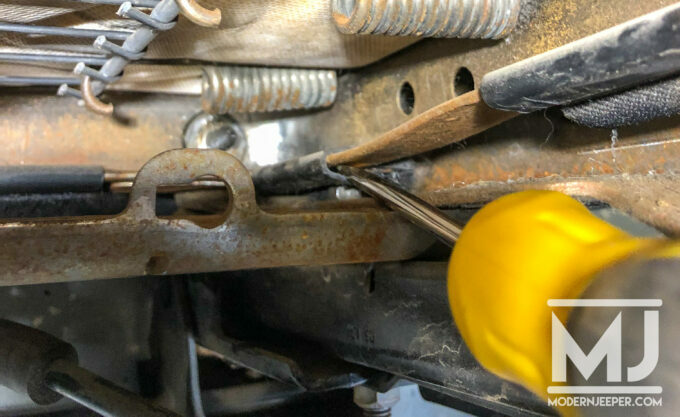 Remove the 4 bolts from the brackets that mount to the floor. 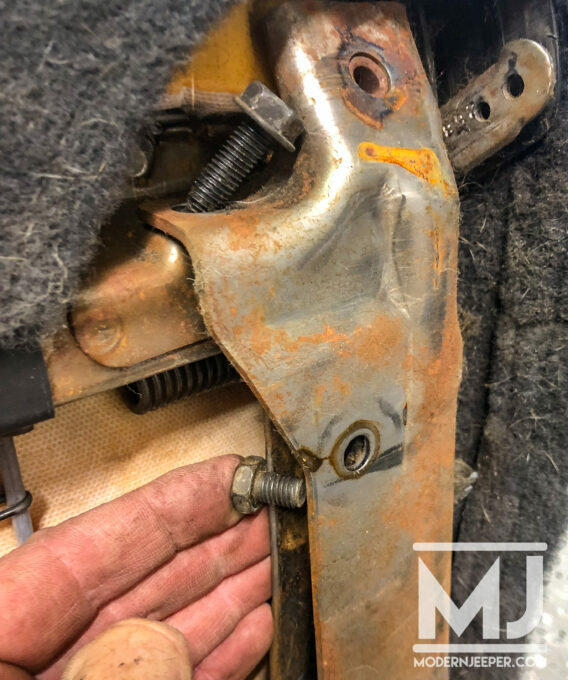 The rear inside bolt is a T50 Torx. Also disconnect the seat belt light wire from the seat. 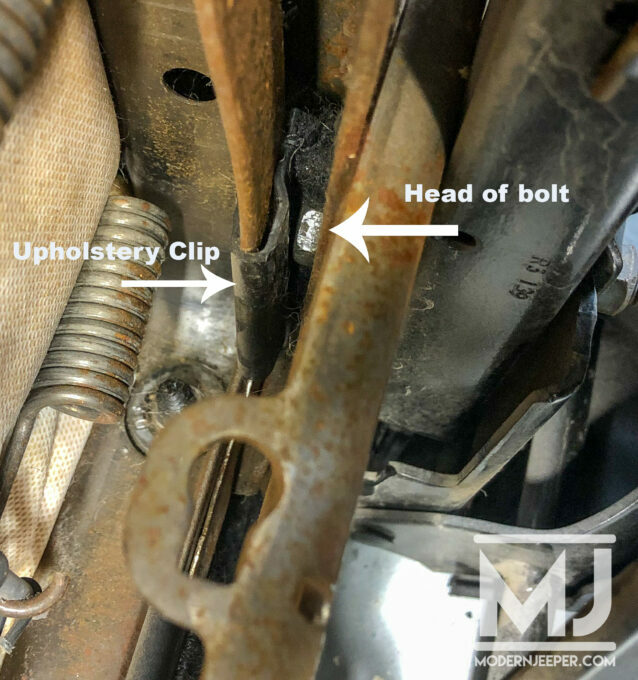 There is a connection underneath the seat that will unplug. 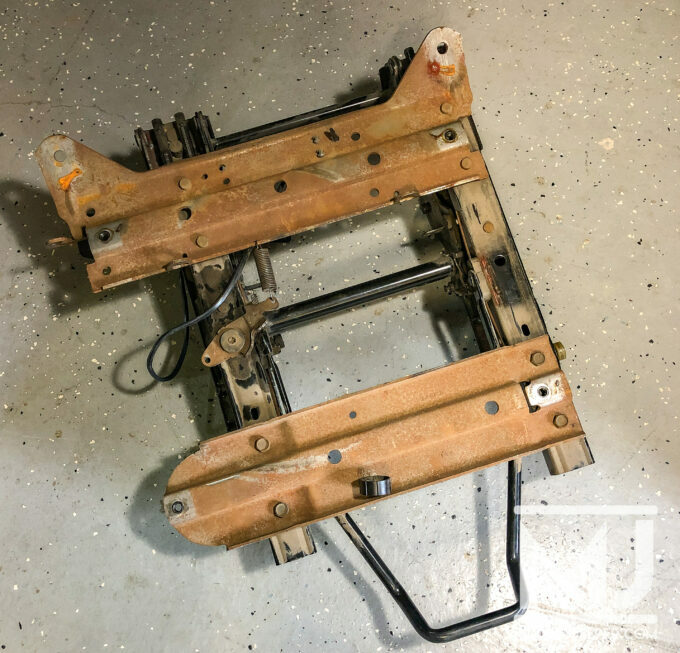 Once the seat is out of the jeep, it’s a bit easier to maneuver for a few of the crazy angles that you are going to encounter. 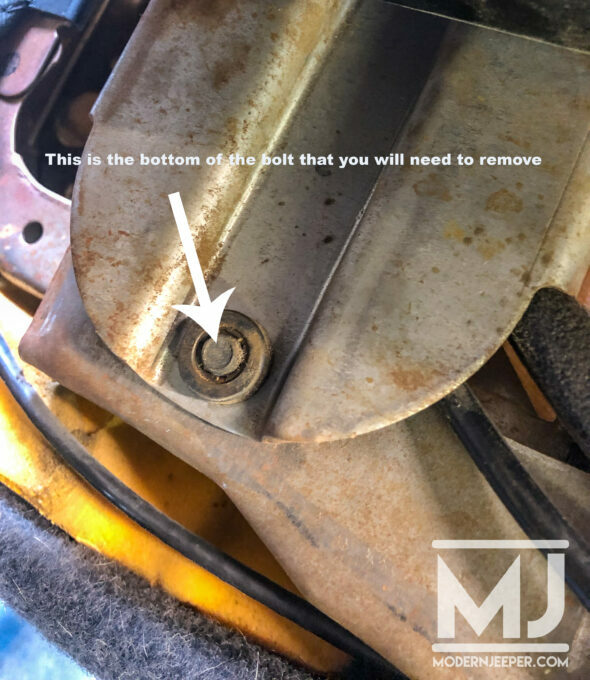 There are 4 bolts that need to be removed in order for the bracket to be ready for the PRP adapters. The bolts are 13mm. 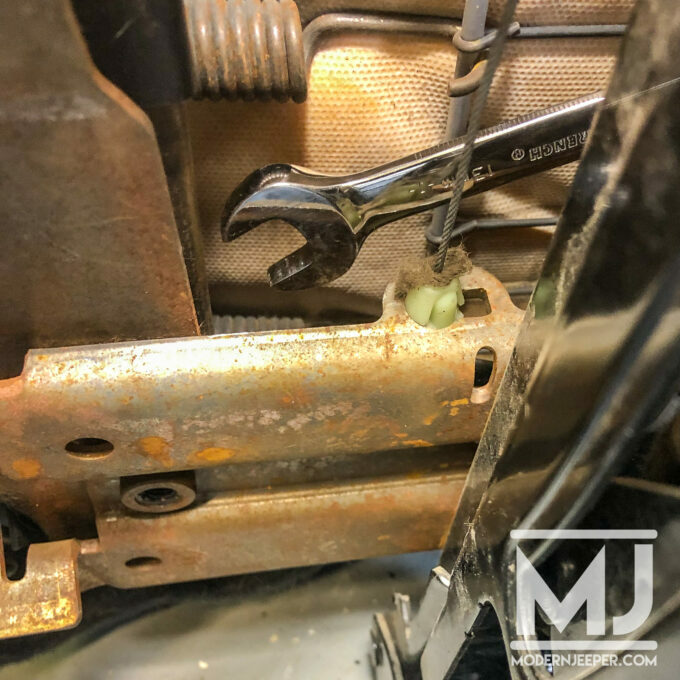 I used both a flex head ratcheting wrench as well as a fixed ratcheting stubby. 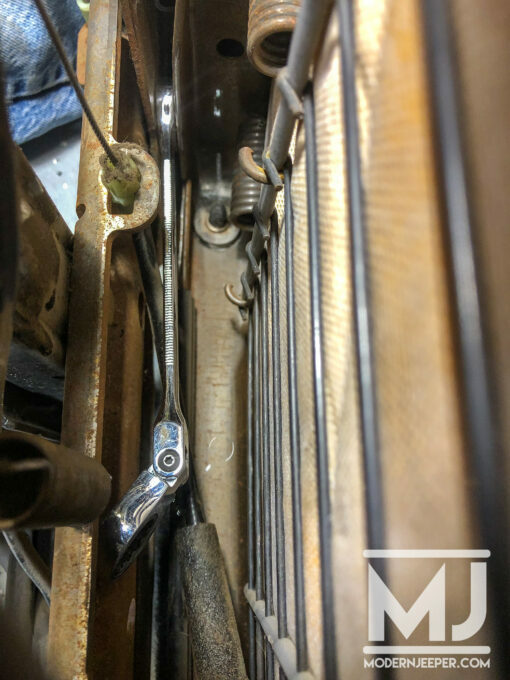 The ratchet won’t fit over the bolt head unless you have some really thin wrenches, but it helped me pivot the wrench with my fingers. 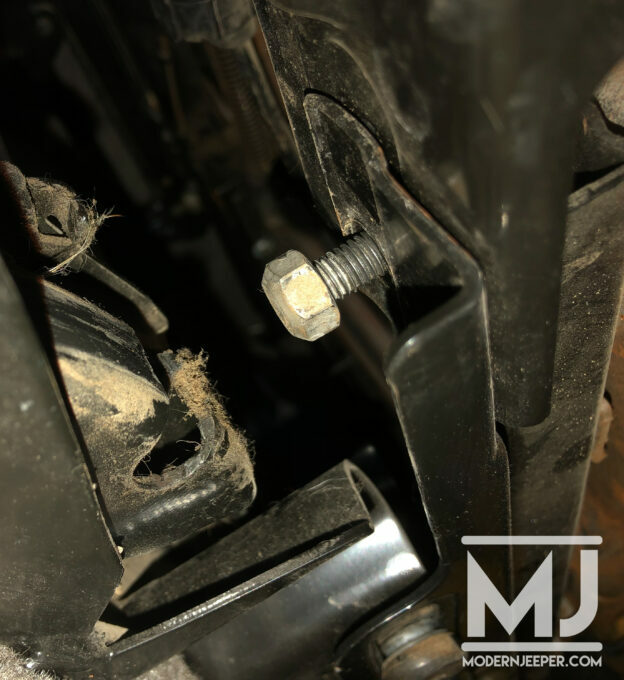 In this next image you can see the bolt head hiding. 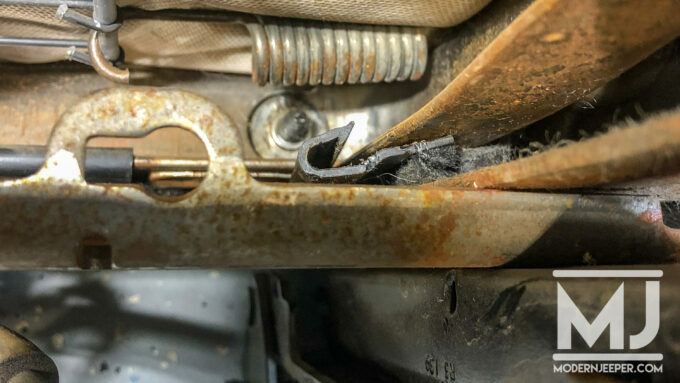 That black “clip” above it is an upholstery clip. 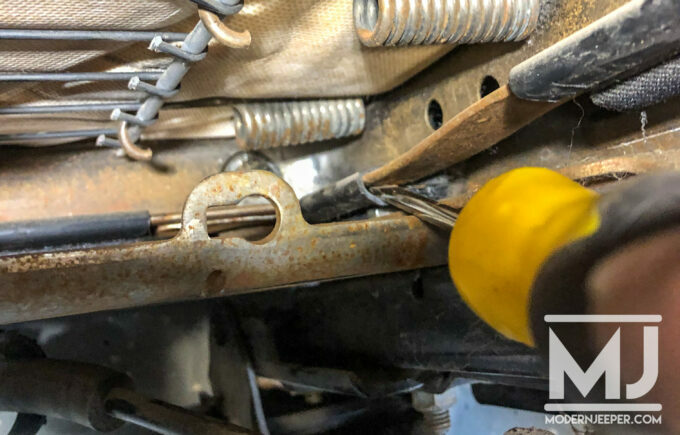 Removing it will help give you more room for the head of the wrench to loosen the small bolts. 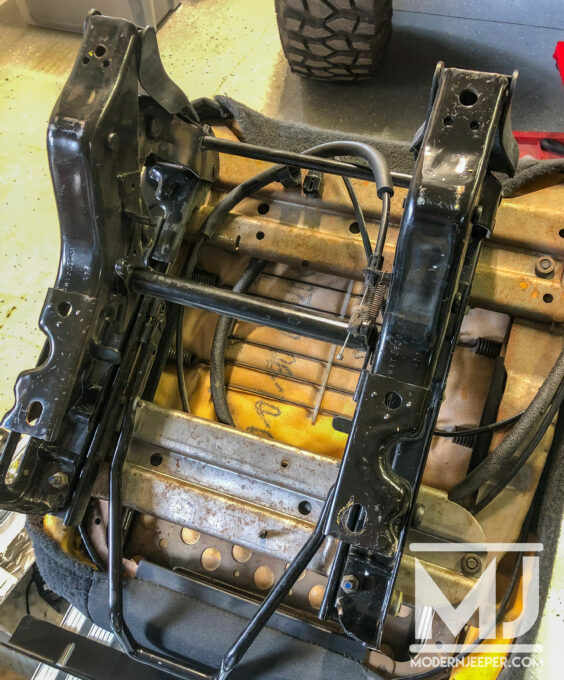 This next image is a picture of the rear of the seat bracket. 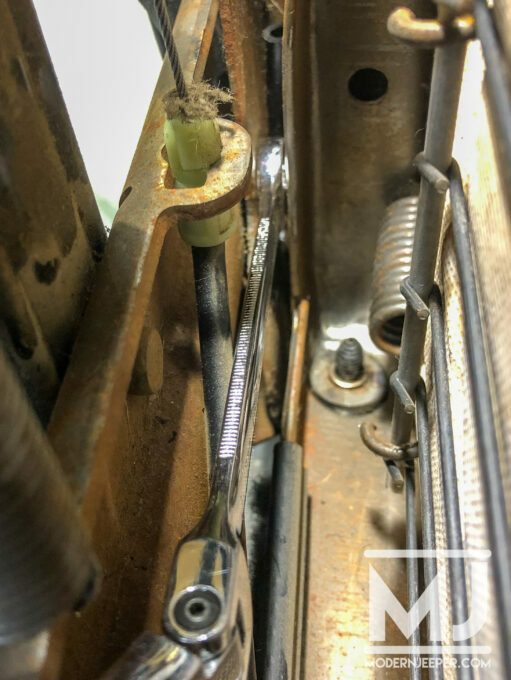 By removing the longer bolt in this picture (near top), you can use a screwdriver and pry the two pieces apart a little. 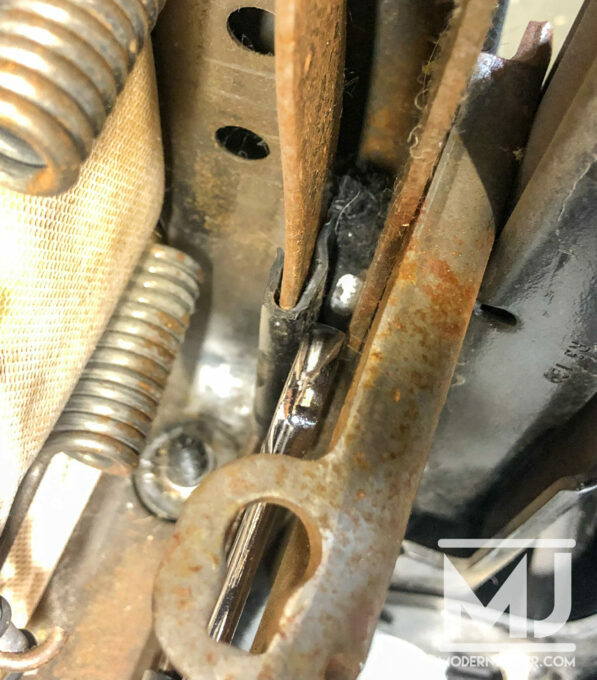 The stubby bolt on my finger came out from in between these two pieces…which is where the head of the wrench goes to loosen them. 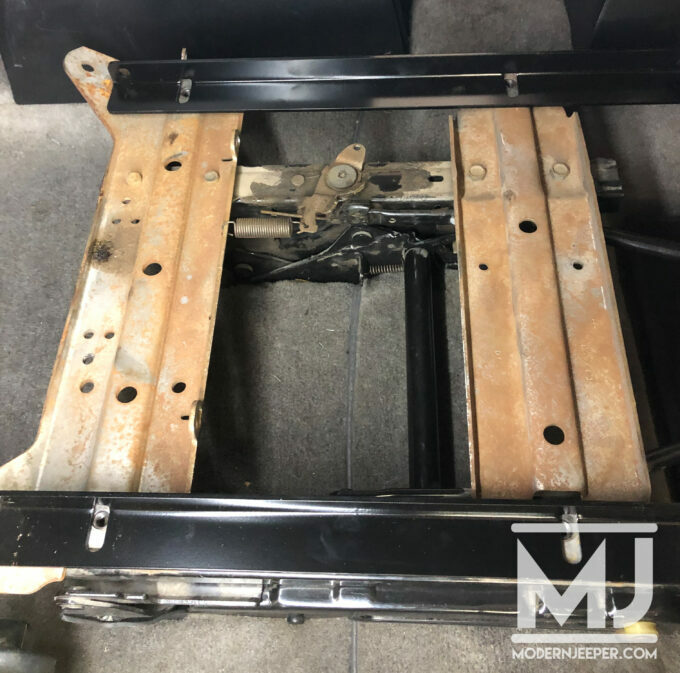 Once the pieces are separated, it’s a VERY simple process to bolt the bracket back to the floor and attach the PRP adapters. 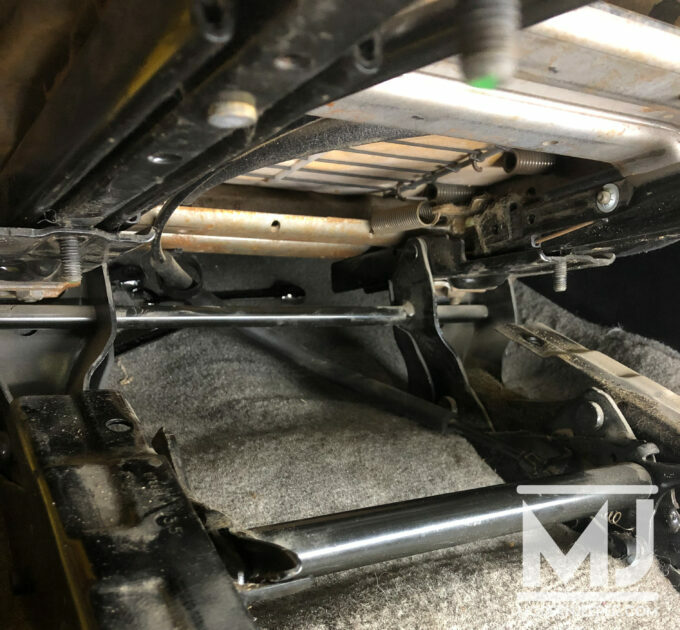 I did not tighten anything fully until the seats were mounted to the brackets with the included hardware. As you can see these seats are a bit shorter in height than the seats they replaced. They fit me perfect…but if you would like them taller, PRP has that as an option! These sit up an inch or two higher than the stock seats, which was exactly what I was looking for!! I love these new seats! The install is not difficult, just time consuming and a bit tough on your hands. 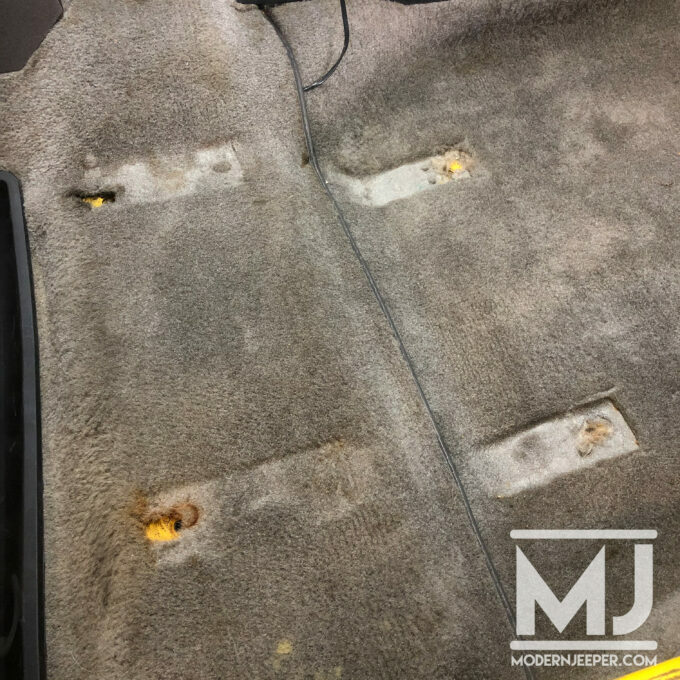 We give these seats a full 5 out of 5 Jeeps!